I’ve made a video tutorial for this craft which you can watch below. Prefer written instructions? no problem, they’re just below the video! Start by cutting a brown triangle shape out of brown card or paper for your ice cream cone – ours is from a box we had a delivery in, then using a brown pen draw lines in each direction across your cone to show the texture on it – I love these pens as they’re so easy to clean off kids hands! 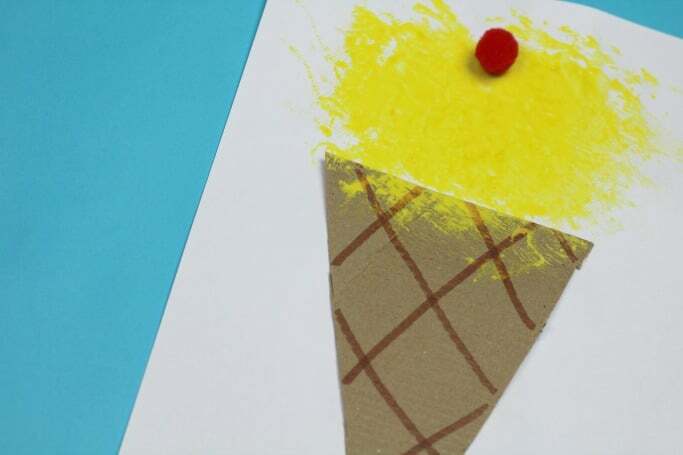 Stick your cardboard cone onto some white paper or card – white is best for this craft as it will show the colour of your ice cream better. Next pour some paint into a bowl or plate and dip a sponge / shower sponge (I hate to admit it but I’m still not 100% what these things are called!) in to the paint then dab it onto the top of your ice cream cone to make your ice cream – yellow for vanilla, pink for strawberry and green for mint all work really well for this but go with what your kids favourites are. Once the paint is dry you can decorate your ice cream – one big red pom pom for a cherry, lots of little ones for sprinkles or you could draw some sprinkles on using felt tip pens. Like this craft? Make sure you bookmark this page or pin an image so you don’t forget to make it. 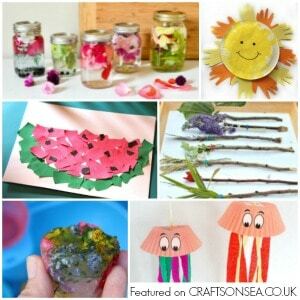 Want more fun summer crafts for kids? 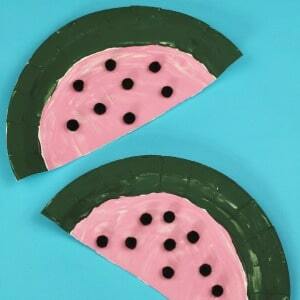 We love this simple watermelon craft! Or for more ice cream crafts why not try this sweet paper bowl ice cream? Finally we’ve got over 35 summer activities for toddlers right here. 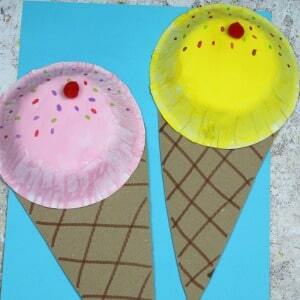 This Sponge Printed Ice Cream Craft is an adorable way to celebrate the summer, while keeping your kids busy!